Seasonal Tour only for feeling SPRING of Korea! 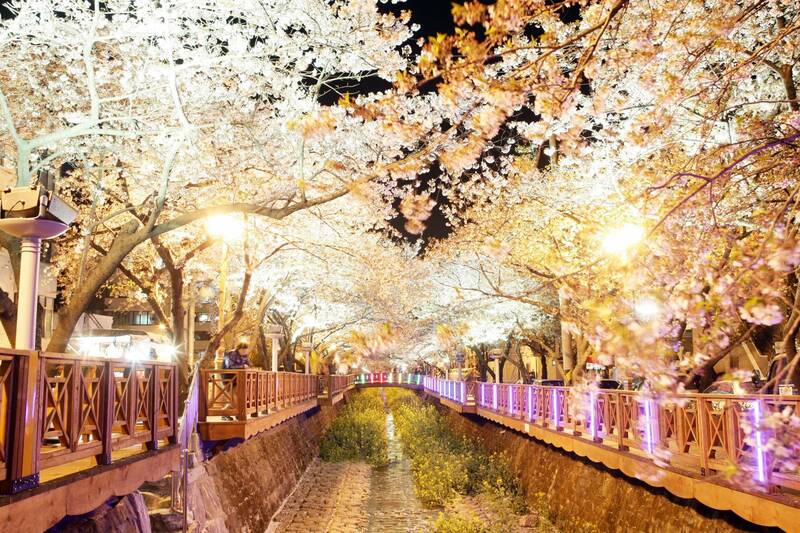 Jinhae Gunhangje Festival is the largest cherry blossom festival that draws millions of visitors every year. The festival is held in tandem with a commemoration of Admiral Yi Sun Shin. 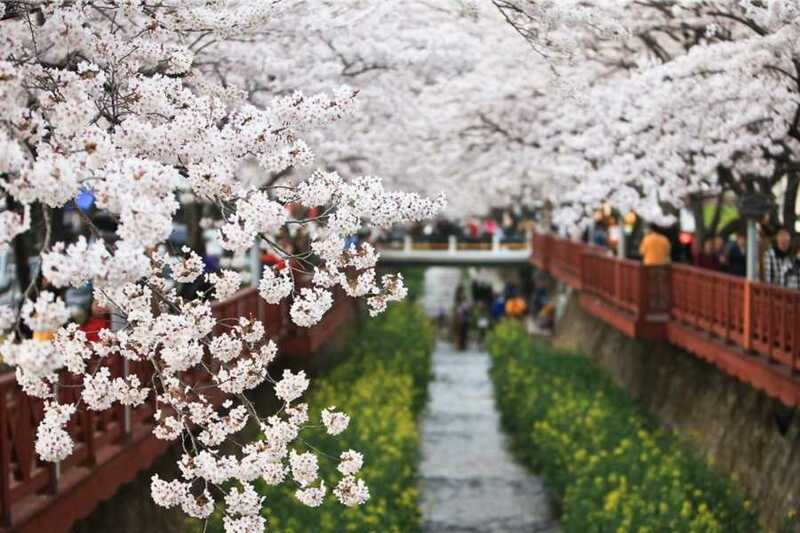 Kim's offers this special seasonal tour for enjoying very charming cherry blossom in Korea. Don't hestitate to book this tour! Gunhangje | Gunhang ("A naval port" in Korean) + je ("Memorial ceremony" in Korea). Jinhae have been a repesentative naval port in Korea from Joseon Dynasty. General Yi Sun-shin | Yi Sun-shin (April 28, 1545 – December 16, 1598) was a Korean naval commander, famed for his victories against the Japanese navy during the Imjin war in the Joseon Dynasty, and is well-respected for his exemplary conduct on and off the battlefield not only by Koreans, but by Japanese Admirals as well. A Performance that military band performs strong marching and honor guards give a restrained performance in Jinhae in April which cherry blossoms fully bloom. Yeojwa Stream Romance Bridge | The Korean TV Series "Romance(2002)" where two leading stars met each other filmed in this very charming bridge. As soon as it had been on the air, it become a tour attractions. 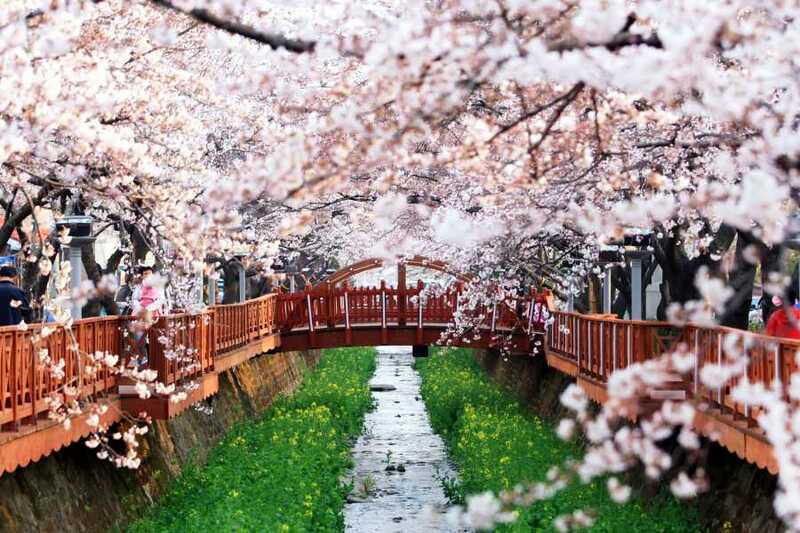 This cherry blossom trail 1.5 km long was selected as not only the 100 beautiful trail in Korea but also 17th of 50 places to go in Korea by CNN. Jungwon Rotary (Primary Event Place) | Jungwon Rotary separated by 8 ways is primary event place during Jinhae Gunhangje. There are old café named Heukback dabang, Jinhae history museum. Also, traditional food zone is held on this 8 way road. And it connects several tour places such as Mt. Jehwangsan, Jinhae Stadium, Nat’l Navy Academy, etc. Museum of Nat'l Navy Academy | The Korean Naval Academy Museum was opened on January 17, 1976 on the 30th anniversary of the Korean Naval Academy. The Yi Chungmugong Hall has on display 212 materials relating to the life of the famous Korean navel leader General Yi Sun Shin. At the Navy Hall, the history of Korea’s Navy is on display. Mt. 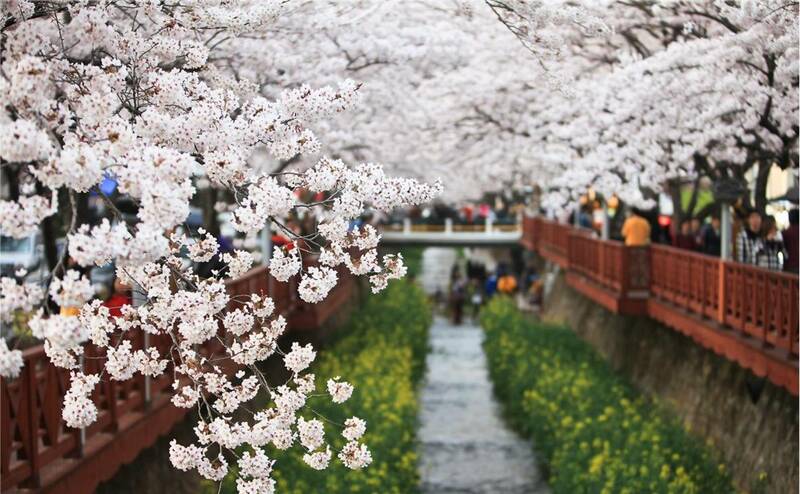 Jehwangsan Park | Jehwangsan Park, located on Jehwangsan Mountain at the heart of Jinhae City, is home to the nine-story Jinhae Tower. The tower, which symbolizes a Korean naval warship, stands at the top of a 365-step staircase and commands a splendid view of both Jinhae City and the coastline. On the first and second floors of the tower is the Jinhae City Museum, exhibiting folk models and relics excavated from Jinhae. Gyeonhwa Station | Gyeonghwa Station is a small station which Railway services in and out of Gyeonghwa Station have been discontinued as of 2006. 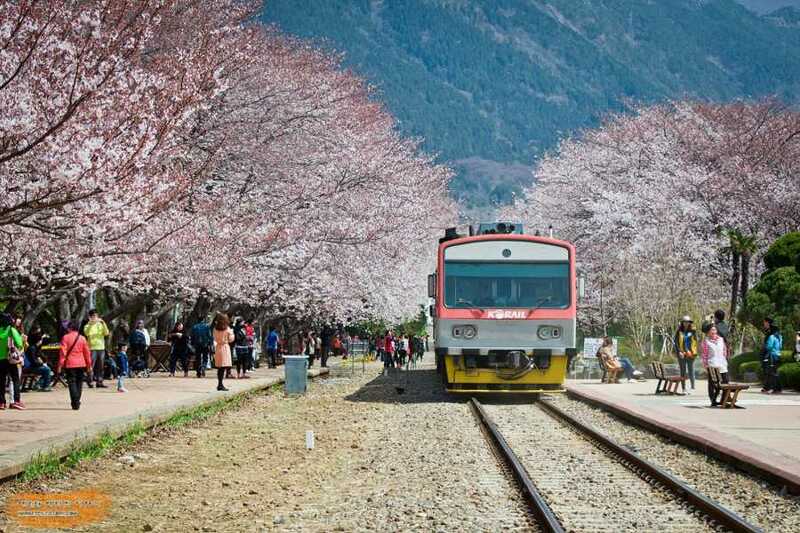 But the station has been reborn as a popular tourist attraction known for its picturesque cherry blossoms which rows of these trees bloom along the 800 meter-long railway extending from the station all the way to Sehwa Girls’ High School in Apirl. This tiny station is one of the top three spots in Jinhae for taking photos of the cherry blossoms. Note! Museum of Nat’l Navy Academy closes every Monday, so schedule on Monday (6th of April) can be changed. 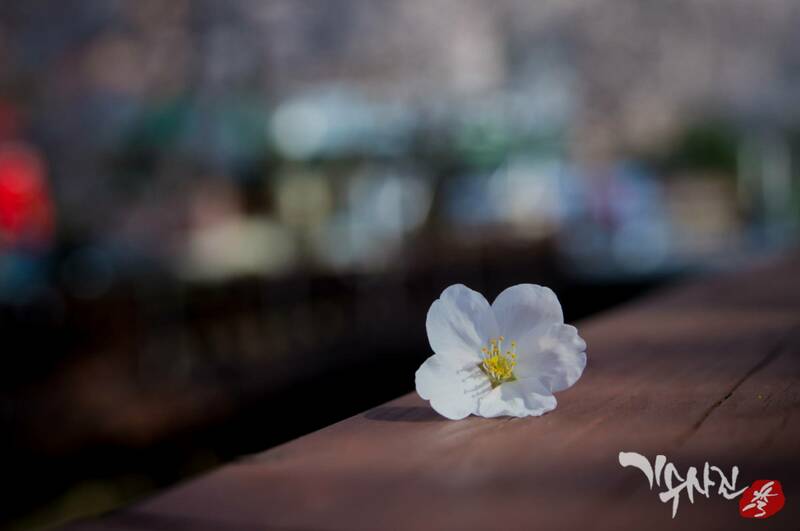 Enjoy the 350k trees of cherry blossom! Famous Shooting place for Korean TV series. Leave picturesque photos in your life!